Chop veggies to desired consistency, toss with oregano and salt. Fill jar with mix, add unfiltered apple cider vinegar to completely cover the mixture. Close lid tightly and leave on counter for at least 2 days. Move to fridge after 2 days. Enjoy! 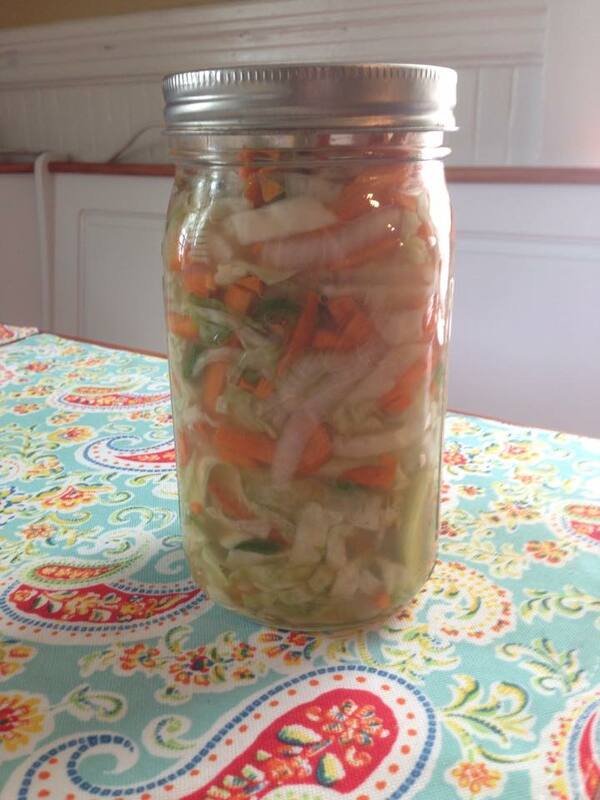 This entry was posted in Member Stories, Recipes and tagged apple cider vinegar, cabbage, curtido, fermented foods, probiotic, use up the veg by Jennifer Moore. Bookmark the permalink.